Information about the noted American author and his papers, housed in USC Libraries Special Collections. West Salem, on the western edge of Wisconsin, remains a very small town today. A single business street extends three blocks north from the railroad tracks, where the Chicago-Minneapolis trains rush past without stopping. Still, the town is easy to reach, with its own exit from Interstate 90 (160 miles to Madison; 20 miles to La Crosse). State Highway 16 and a state bike trail both run through West Salem. 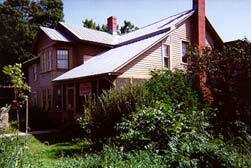 The log cabin in which Hamlin Garland was born in 1860 vanished long ago; but the Garland homestead, at 357 W. Garland Street, which he owned for many years and where he did a significant part of his writing, is maintained by the West Salem Historical Society, a non-profit organization. Hamlin Garland purchases "Maple Shade" on a five-acre lot in West Salem as a home for his parents in their retirement. The original structure dates from 1859 but is progressively enlarged till "the only part which remains unchanged is the stairway" (Garland in 1938). Garland’s house becomes the first in the area to boast indoor plumbing, a room-sized fireplace, and a tennis court on the lawn. 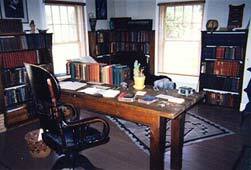 Garland also adds a formal dining room for entertaining his literary guests. 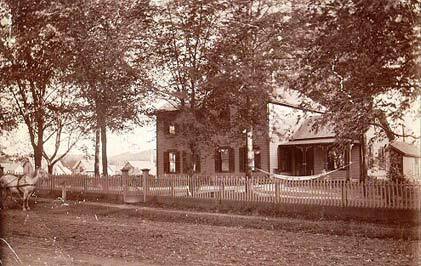 Garland marries, and the couple lives at the West Salem house most summers for the next twenty years, alternating with residences in Chicago and, later, the Hudson Valley (New York). His mother dies at the house in 1900, his father in 1914. His first child is born there in 1903. The west half of the house is repaired and restored following a serious fire in 1912. 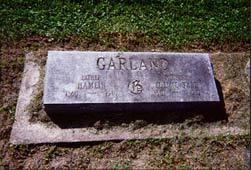 Garland visits West Salem infrequently, moving to Los Angeles in 1932. The house is finally sold in 1938 and is subsequently altered for two-family occupancy. 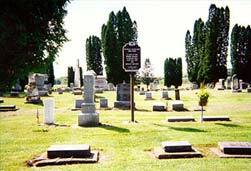 Garland dies in 1940 and is buried at the Neshonoc Cemetery a mile outside the town. 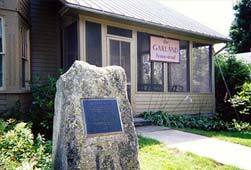 In 1955, the road passing in front of the former Garland house becomes "Garland Street". 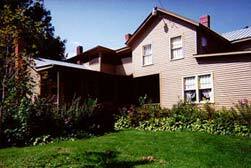 The Garland House is designated a national historical landmark. 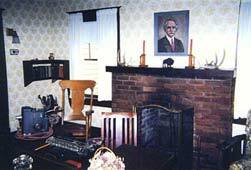 A bronze plaque is set in place on September 14, 1973, and the house is purchased by the local historical society. Restoration of the interior to its pre-1915 appearance is begun in 1975. 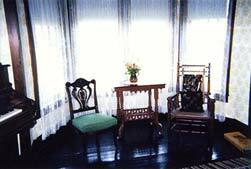 The rooms are furnished in period style based on photographs of the house in Garland’s time. Garland’s daughters return mementos which their father took with him to California; and in many cases the historical society is able to reacquire actual family belongings dispersed at auctions or sales over the years.